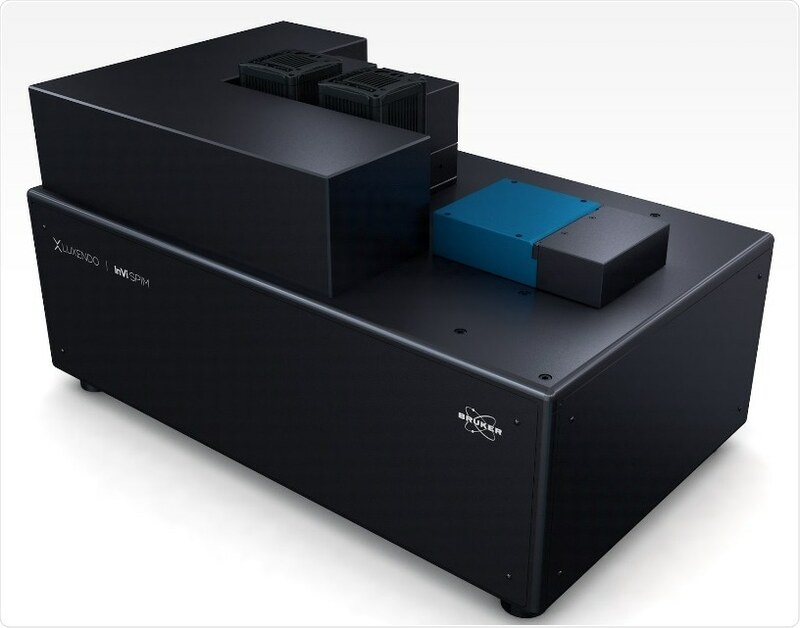 At the 2018 American Society of Cell Biology Meeting (ASCB), Bruker today announced the launch of the new Luxendo InVi SPIM AIM next-generation lattice light-sheet microscope, which features an advanced illumination module (AIM) for lowest phototoxicity light-sheet fluorescence microscopy of live samples. Leveraging the general benefits of single-plane illumination microscopy (SPIM) with high-photon efficiency and short illumination times, the new module enables the user to interactively customize the light-sheet shape to tailor the system to a particular specimen’s requirements. A variety of illumination patterns, including single or multiple variable Bessel beams, lattice light sheets, and structured illumination, provide a much greater range of single-instrument research possibilities for rapid, higher resolution 3D imaging of living cells. The Luxendo InVi SPIM AIM uses the high-performance InVi platform for gentle long-term imaging with precise control of physiological conditions. It has been designed to combine the advantages of several different illumination approaches to deliver the flexibility required to further optimize bioimaging experiments, from a large field-of-view and extraordinarily high temporal sampling to spatial resolution at the physical limit.